And if we had any doubts, a new study from Brunswick shows that investors and analysts are making decisions based on the digital content of executives and companies. The consultancy’s annual Digital Investor Survey tracks the digital behavior of investors and analysts around the world in terms of communications, research and information-gathering. How Important Is a Digital Presence? For instance, according to the survey, 90% of investors use digital platforms and channels to investigate companies and the issues surrounding them. Another 70% reported that they have made investment decisions based on digital research. These statistics prove a direct link between your content and communications and how willing people are to invest in your brand — aka, your bottom line. You can almost guarantee that others who are looking to do business with your company will do the same. You need a digital presence to greet them at the door, so to speak, and give them a good first impression of your company. And we do not mean just a static website. We are talking about a rich digital identity that make your brand stand out, such as a regular blog, social media presence, and search engine optimization. “Building an effective individual digital profile is not just an essential component in a successful investor relations strategy, it is now a necessity for maintaining shareholder value and competing with peers that are more active in digital and social media,” Brunswick partner Marshall Manson told the Holmes Report. If your brand is not available on a digital platform, such as a blog, to not mince words — you’re impacting your bottom line. Knowing the crucial role of digital marketing, it’s essential to maintain your digital marketing and social media channels. Which translates to solidifying your content marketing. Search engines and online publishers like blogs are the most used digital sources for investors. Social media platforms are also important with LinkedIn the favorite with 63% of investors using the platform for research, and Twitter the second most used platform at 55% of investors. Wherever you go on the internet, you can’t ignore the role that content plays — whether it’s a blog shared on social media, visual graphics in your PR campaigns, or a video that you use to promote your brand across multiple channels. All of this and more falls under the content umbrella. But this involves more than just creating content. 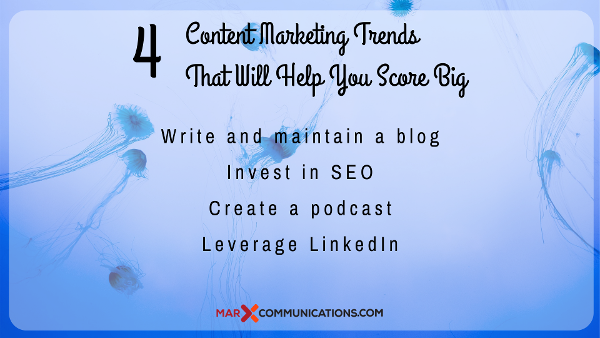 You need to pay attention to content marketing trends, from blogs to social media, to public relations and ROI. Ensure senior executives use digital and social to reach and engage investors, particularly LinkedIn. Expand your digital universe to include podcasts, which are underutilized. Maintain your SEO and content materials. We’ve laid out 4 easy ways to use content marketing for social media and public relations. These methods will help you strengthen your communications strategy. For the past decade, businesses and entrepreneurs have been urged to maintain a regular blog. Not only does it show evidence of expertise, but it also directs people back to your brand time and time again. And we now have even more proof of the value of blogging. The Brunswick survey showed that 61% of investors and analysts used blogs to make investment decisions and recommendations. Blogging helps to boost your digital presence, not just on your site, but also on social. For instance, it gives you original content to post on your social media profiles. This original content bolsters your reputation and points your audience back to your website for more original content. Note: Because of the very visual nature of social media, you need to include visual graphics when you post to social media. This includes blog images, infographics, and even videos to attract your audience. Your blog is one of the top places where you can promote all of your media gems. This includes media interviews, major company-wide news, and awards. It is a great in-house platform to allow your audience to share in your brand’s triumphs. As a side perk, posting this kind of news strengthens your reputation as a top-shelf brand. Search engines are one of the most heavily-used platforms for research — as proved by the 65% of people who use it to research investment opportunities, according to Brunswick. This makes sense, since who hasn’t tapped into engines like Google or Bing to find answers to questions or learn more about a brand? Because of the heavily-guarded algorithms that ensure top-quality content on search engines. these platforms have gained a level of trust that few other platforms match. In fact, in Brunswick’s survey, search engines were trusted slightly less than The New York Times but above CNN when it came to trust. 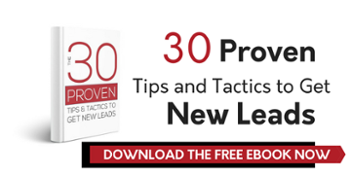 Audiences know that not just any joe-blow with a computer can make his or her way onto that first page slot — it takes domain authority, link-building, and other strategies to get there. SEO is a crucial part of today’s content marketing trends — and can be used to empower your PR and social media. Think of your latest bit of news or your campaign. When you build up your site’s authority through SEO and use the right keywords, you have the potential to expand your visibility and gain the trust of your audience. Brunswick’s survey reported that 48% of investors said that they used podcasts for information about a brand. But sadly, podcasts are often forgotten when we discuss content marketing trends and strategies. And what a loss that is. Podcasts were listed as the third most popular content (after search engines and blogs) used to make investment decisions. Podcasts are a great place to promote your PR and social media. For instance, why not discuss a subject on your podcast and point your audience to your social media profile for more information? Have some company news or a PR campaign that you would like to promote? Use your podcast to get your audience excited about it. In the past, many brands have relegated their LinkedIn maintenance to their HR teams. But what once started as a simple professional networking site has blossomed into a lot more. Brands are realizing the far-reaching value of LinkedIn in the business landscape. It is now used as a publishing platform, to share company news, and as a place where prospective buyers and investors vet companies. What makes LinkedIn so valuable? It’s trust factor. Indeed, Brunswick reports it to be the most trusted social network with a score of +26, which is on par with media outlets like CNBC. In an age where fake news is talked about seemingly all the time, this shows just how valuable LinkedIn is as a platform and a resource for your brand. And if you’re still not convinced, consider that 48% percent of investors said that they used LinkedIn as part of their research into companies. Take the time to familiarize yourself with LinkedIn’s best practices. This includes engaging with groups and communities and publishing regular content on the network’s publishing platform. It’s more vital than ever for brands to strengthen their digital assets. Using content marketing for social media is a key way to empower your social and digital presence.